Time Lapse. Crowd of people come in transition. People in summer clothes. people go through transition. hd00:06 Crowd of people come in transition. People walking down the stairs.Summer day, sunny day. People in summer clothes. people go through transition. 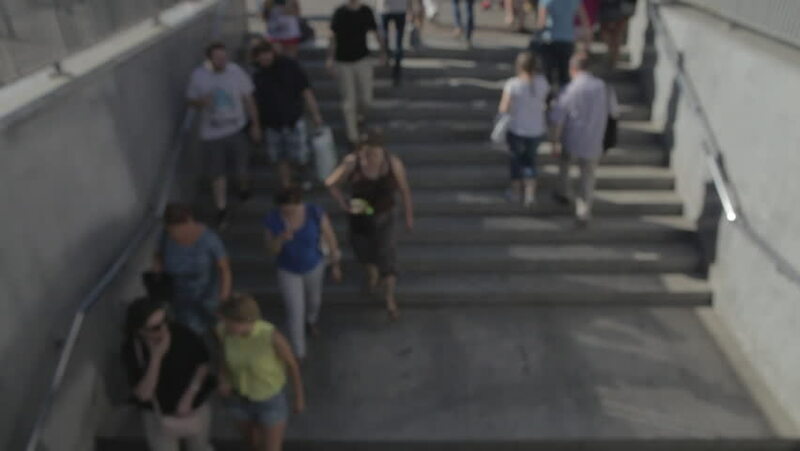 hd00:13People pedestrians walk/cross big city intersection slow motion 100p.Gimbal stabilized tracking shot of an anonymous crowd of pedestrians walking/crossing a busy city street.No logos or faces visible. hd00:18CONSTANTA, ROMANIA – SEPTEMBER 11 2016: Black Sea Tall Ships Regatta is an international unique event taking place every year. Fore down dressing line.